We saved the potentially wasted smaller spaces by adding our signature hook walls – perfect for accessories of all kinds! Don’t you love the little vanity we added? 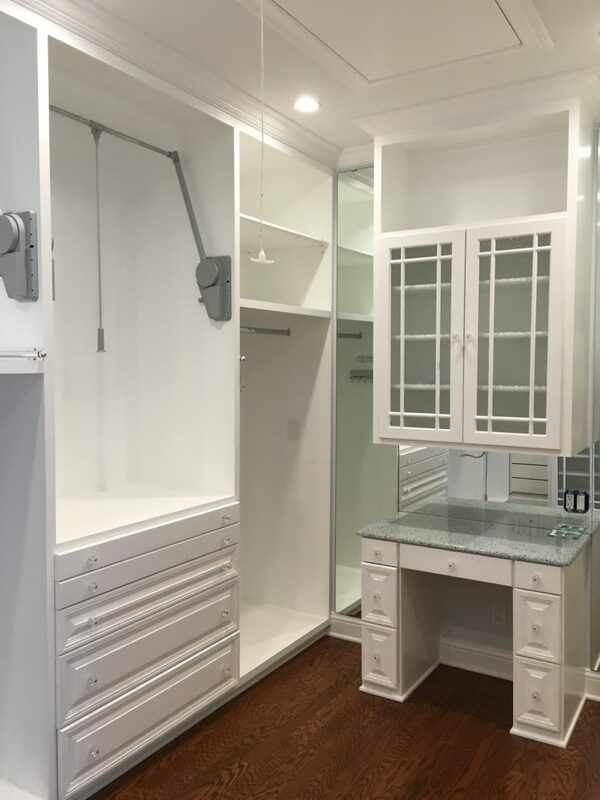 Outfitted with coordinating granite, a mirror, and a electrical plugs, this is the perfect place to add the finishing touches to your look, and can even be used as a secluded desk.